When Big Sam took the reigns at Everton at the end of November, he already had one eye on the January transfer window. The former England boss was transparent when asked and didn’t hold back with a list of the positions he felt needed filling. Amongst the targets Allardyce revealed were a full-back and, in particular, a left-back. 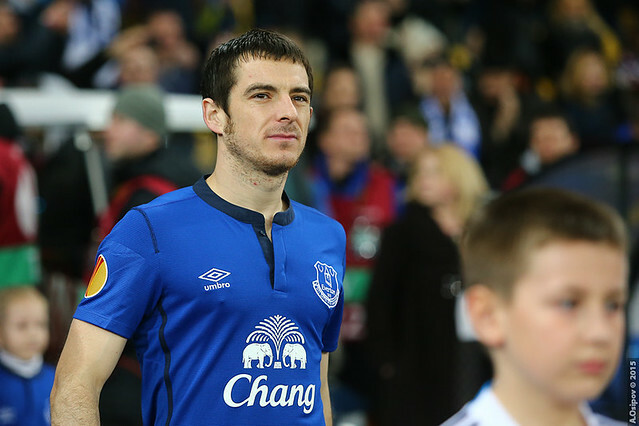 Leighton Baines has had his problems with injury this season and is currently out with a calf injury. Baines has always been the consummate professional and one of the finest left-backs not only for Everton but also in the Premier League. At 33, the man born in Kirkby looks far from finished but it seems the time may have arrived to begin to look to the future. During Baines’ absence, Allardyce has had Cuco Martina filling in at left-back. As well as the Curacaon international has done in that position, there are moments in games where he struggles to deliver a high-quality delivery into the box with his left foot, normally ending in an easy take for the keeper or easily dealt with by the grateful defenders of the opposing team. There are obviously limitations to a squad like Everton’s and with that being the case, it becomes imperative they get the absolute most out of their players and formations on matchdays. A perfect fit to bolster Allardyce’s options would be 24-year-old Phillip Max from Bundesliga outfit Augsburg. Max is blazing the trail in Germany as has a number of suitors lining up for him. In his 17 appearances in the Bundesliga for Augsburg this season, Max has notched up an incredible 10 assists and also found the back of the net once. That type of contribution is always going to attract admirers. Augsburg won’t give him up without a fight, and for good reason; in the latest Bundesliga betting they are 25/1 for a top-four finish, and as things stand, only a mere four points off Dortmund in third place. 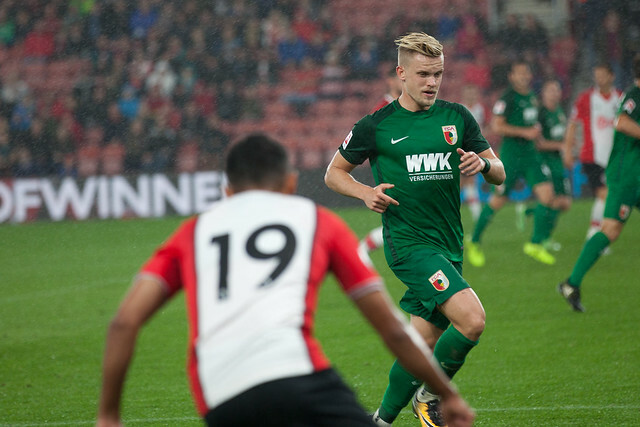 Max’s role in the Augsburg side is a crucial one but it is certainly not outside of the realms of possibility that a team like Everton would be able to pry him away. He won’t be on enormous wages the Toffees could put together a very competitive package for him. The player himself has admitted to having ambitions of playing abroad and the next step in his development could be a Goodison Park. There have been whispers of Man City and Liverpool being interested in his services so if Allardyce is keen on having an out and out left-back in his squad he will have to steal a march on his rivals. If Big Sam were to promise him first team football then it may make all the difference in signing him but at what cost to Leighton Baines when he returns from injury? Tough decisions ahead but making them will only benefit Everton as they focus on a top-half finish. Who’s next for the sack? Is Jordan Pickford really worth £30m?